AAAS Family Science Days is a free public event that offers an array of hands-on family and child-friendly activities. It will be held during the AAAS Annual Meeting in Seattle. Family Science Days features interactive booths appropriate for K-12 youths and their families, highlighting diverse areas of science, as well as a live stage show and the opportunity to talk with scientists. 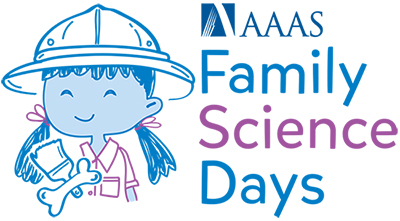 Family Science Days demonstrates the AAAS commitment to promoting public engagement with science, a central part of its mission to advance science and serve society. It provides an opportunity for local science organizations to gather and connect with their communities and gives the scientists attending the meeting a chance to see public engagement in action. The event is advertised to families via local media, schools, community organizations and participating institutions. If you are a science organization interested in participating please contact the organizer.